Ever wonder what happens if you lose your connection to the license server? When you click OK, you’ll be prompted to either save or discard your work. 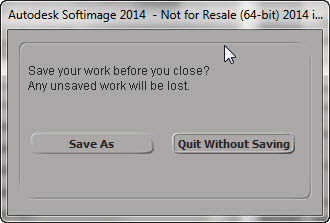 And after you save your scene, Softimage will exit. This entry was posted in Licensing and tagged Licensing, Softimage by xsisupport. Bookmark the permalink.